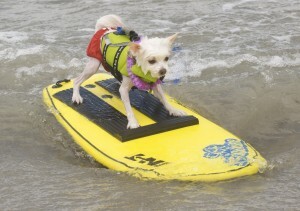 Loews Coronado Bay Resort Surf Dog Competition "high-tails" it this Saturday! 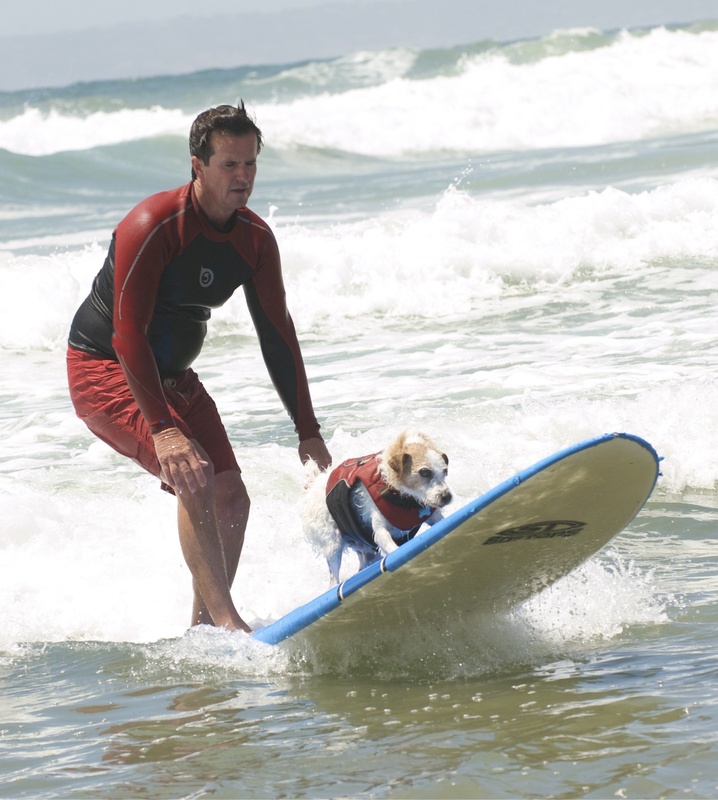 Loews Coronado Bay Resort Surf Dog Competition “high-tails” it this Saturday! Dog and owner “Hang 20” at Loews Coronado Surf Dog Competition. See spot run… See spot SURF! The 7th Annual Loews Coronado Bay Resort Surf Dog Competition laps up the fun tomorrow in Imperial Beach (at Dunes Park/Beach, 700 Seacoast Dr.), just down the peninsula from Coronado. See dozens of happy hounds of all shapes and sizes hang 10 – and “hang 20” with their owners – from 10:00 am to 2:00 pm. Admission is FREE for spectators, so bring the whole family! It’s not too late to enter your doggie in the competition. Cost is $50 for singles (one dog) and $55 for teams (dogs and people or multiple dogs). Proceeds for the four-legged fundraiser will benefit the American Society for the Prevention of Cruelty to Animals (ASPCA). Top dog at Loews Coronado Surf Dog Competition! There’s even a celebrity dog category this year. Bring your autograph book! While you’re there, be sure to wave to the TV cameras. There will be plenty of news crews on hand, including “Good Morning America”/ABC (booked by yours truly), capturing every tail-wagging moment! Former “All My Children” soap star and “Dancing with the Stars” (season 5) contender Cameron Mathison will be GMA’s correspondent on the scene. His segment is scheduled to air in the upcoming weeks. I’ll keep you posted on the airdate. 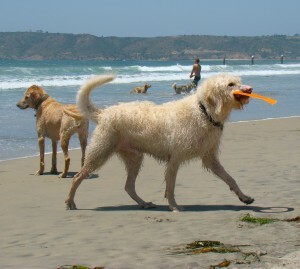 While you’re in the area, and if you’re with your dog(s), head north to Coronado’s Dog Beach, for a day of play on the sands of the #1 Beach in America! Out-of-town guests can take advantage of a special $169 guestroom rate at the pet-friendly Loews Coronado Bay Resort. This entry was posted in Insider Tips, Outdoor Adventures, San Diego Events and tagged beach, coronado, Coronado Beach, dog beach, I.B., imperial beach, loews coronado bay resort, surf dog by Robert Arends. Bookmark the permalink. Looks like a lot of fun. 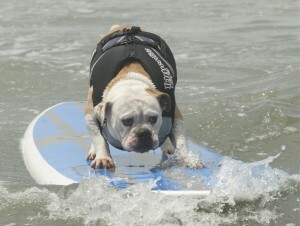 Too bad my dog doesn’t really know how to surf. But we’re still going! Thanks for the info. Are these photos just taken by an iPhone? They’re really good by the way.